March 29, 2019 April 8, 2019 by Leslie Blackburn, posted in More Goodies! This topic is important for everyone. Chances are, we ALL have some layer of information that our body is carrying that doesn’t feel good. Trauma can manifest in the body in many different ways: tightness, discomfort, pain, and dis-ease to name a few. The word “trauma” may evoke immediate thoughts of abuse and molestation. However, trauma may also have been a time in sixth grade when a bully knocked your books out of your arms and laughed; it may have been when a parent yelled at you to stop singing because they had a headache; or maybe it was a time when you were told you were ugly or not good enough. Any of these types of experiences, and many more, can cause your body to hold onto stuck energy. Trauma is when we have stuck energy in the body. The events that happen in our life intensely shape our bodies and our minds and drive our actions into adulthood. Sometimes the events that are particularly mysterious or terrorizing are the ones that happen in the early stages of life as our brains and bodies are newly developing, often before we have a way to verbalize what’s happening. When all of those answers are a “Yes,” then we can release patterns and rewrite the old scripts that we have been reliving. It often initially helps to have some guidance from someone who can hold safe space for us; but, in time, much of the work can be done alone. We can let ourselves go into the wisdom of our body. All the wisdom’s in there. We also don’t need to feel like we’re stuck in the box of a diagnosis forever. Our body’s capacity to heal itself, to align with its original template of well-being, is immense. It’s really about listening to the guidance and wisdom of the body, and the willingness to be in it. So, no matter what name we give our past pain, I invite you to slow down and take note. When your body gives you a message, listen to it. Leslie Blackburn, MS, RCST® woke up from a lifetime of “holding on, numbing out and keeping people out” to reconnect with her body, her power and deepest authentic purpose in life. 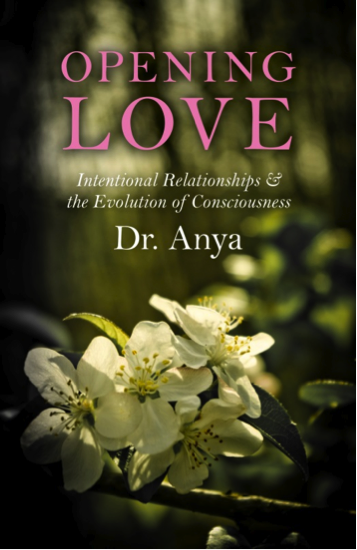 In that journey from fifteen years in corporate engineering to now ten years as Sacred Sexual Healer & Transformational Guide, she birthed her own unique medicine informed by the wisdom of a wide array of teachers and experiences. Leslie has worked with and inspired thousands of people on the path of Sacred Sexuality, she’s honed ways to liberate others through her story, spiritual teachings and deeply embodied experiential practices. She now offers a path of connecting with your own deep clarity and soul purpose through sexual empowerment. Leslie bridges the realms to bring deep mystery teachings back into our world from a place of clarity, joy, wisdom and giggles so that we create a culture of love and respect for honoring ourselves, our bodies, each other and the planet. Love in Action! Leslie offers private sessions to support you to connect with and listen to your body. She also offers a 3 month leadership and sexual empowerment program supporting sexuality educators and somatic professionals to feel joy and clarity on their soul purpose, learn new tools and build their skills in supporting other’s sexual empowerment.